If you are in the market for a new home or interested in refinancing your current property, be sure to contact your trusted mortgage loan professional. Major changes as of 02/01/2019. This is no longer a 4% Grant, but now a Forgivable Second Mortgage from 3% to 5% of the loan amount, depending on the program and credit score, that is forgivable pro rata on a monthly basis over a period of 36 months. After 36 months you don’t owe anything on the 3% to 5% amount that was given to you at closing for your down payment and closing costs. Please ignore all information below until this site is updated with the new guidelines. What is the Metro Mortgage Assistance Plus program? First off, the City of Denver is AWESOME for giving people this opportunity! The Denver Metro Mortgage Assistance Plus Program is an amazing program that actually gives you a 4% grant to go towards your down payment and closing costs. This is a grant you don’t pay back. Yes, you heard me right. The City of Denver has set up this amazing program to help people with low to moderate income achieve homeownership. The 4% grant is a percentage of the total loan amount. See below for an example of a $350,000 purchase price with an FHA loan. FHA requires a minimum down payment of 3.5% and adds 1.75% for the FHA Up Front Mortgage Insurance Premium on top of the base loan amount. 4% grant = $13,746 – WOW! You never have to pay this back! In this scenario, you would have enough to pay the $12,250 down payment and have $1,496 left over to apply towards your closing costs. How do I qualify for this program? Complete a loan application with an approved MMAP lender and meet the standard loan guidelines for FHA, Freddie Mac HFA Advantage or VA. Call 303-521-7169 to get started. Have a maximum debt to income (DTI) ratio of 45% for FHA and up to 50% with Freddie Mac HFA Advantage. Complete a HUD-approved homebuyer education class. 4% grant that I don’t have to pay back, what’s the catch? Catch #1: The interest rate is higher than current FHA market rates, usually about .50% to .75% higher depending on the day. Catch #2: The closing costs are higher by a 1% origination charge, this is 1% of your loan amount. Plus $250 to eHousingPlus and $400 to US Bank. However, since you are given 4% and the FHA down payment is 3.5% you will have .50% left over to apply towards the 1% origination. Would you buy a home today if you had the down payment ready? Then this program may be what you have been waiting for. 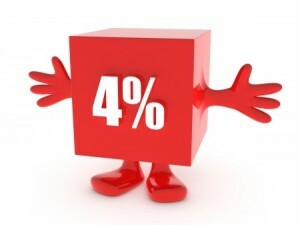 4% given to you to buy a home, how often does that come around? Can I use this program for homes outside of Denver? Yes, as of 12/09/2018 you can currently use the Denver Metro Mortgage Assistance Plus program in the following areas. The home has to be within the incorporated city limits of the participating city. In addition, Arapahoe County, Jefferson County, and Boulder County are program participants for properties within unincorporated areas. Additional Metro Mayors Caucus jurisdictions are expected to join the program throughout the year. So if your city is not listed above, check back for updates. What type of properties can I use this with? Can I use this program on a Manufactured Home? No, as of 12/01/2015 this program is no longer available on Manufactured Homes. Remember, Modular and Pre-Fab homes are not considered manufactured. Where can I finish my homebuyer education class? There are many great places you can take this class for Free. Below are a few, you can visit the below links or I can help you schedule a class. You can also do an online class at eHomeAmerica for a $99 charge. If you get a code they will give you a slight discount for the 2nd person. Click here for a list of all HUD-approved housing counseling agencies in Colorado. Always make sure to show up on time and to keep a copy of your certificate. Is there a purchase price limit? Denver Metro Mortgage Assistance does not have a limit. The only limit is based on what you qualify for and what the max loan amount is allowed by FHA and VA in the county the property is located in. There is no minimum loan amount. However, they will not allow for High Balance loan amounts over $484,350 in any county. What are the loan terms and the interest rate? The loan is a 30-year fixed through FHA or VA. The interest rate is slightly higher with the Denver Metro Mortgage Assistance Plus Program than the market rate is for FHA and VA home loans. However, the interest rate is the same for everyone who qualifies. The rate is the same, regardless if your credit score is 640 or 840. Everyone receives the same rate. The rate is locked once the lender has successfully reserved the funds. Are the closing costs the same as other loan programs? The closing costs are slightly higher with this program as we have to charge an additional 1% to 1.5% origination fee that is not normally charged on other FHA or VA loans. This program also charges $250 to eHousingPlus and $400 to US Bank. The good news is that you should have .50 % of the grant left over after the minimum 3.5% down payment. Who services the loans after closing? US Bank services all of the Metro Mortgage Assistance loans after closing. However, US Bank does not offer this product directly. Is there a recapture tax? No, there is no recapture tax for this program. Once the loan is reserved you have to close the loan within 45 days per eHousingPlus who manages the program. However, if you have provided all of your documentation up front you can close within 30-days depending on how quickly you respond to needed conditions, and how quickly the appraisal can be completed. Where is the loan underwritten? 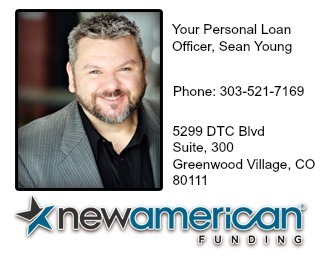 The loan is underwritten in our operations office in the Denver Tech Center. Can I use this on an investment property? No, this is strictly for owner-occupied purchases only. 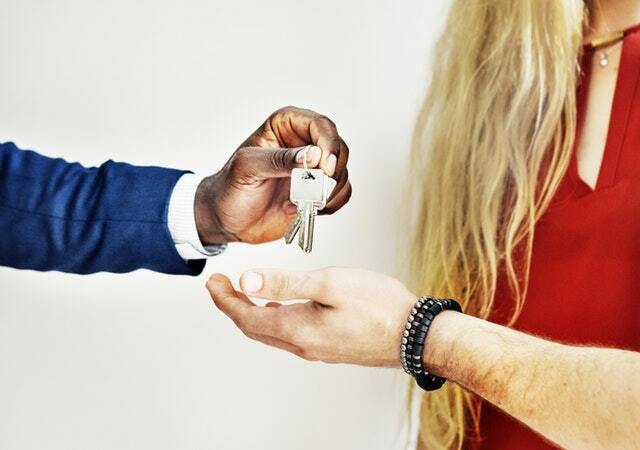 Do I have to be a first-time homebuyer? No, there is no first time home buyer requirement for this program. Can I use this for a refinance? No, this is strictly for new purchases only. Can I get my earnest money back at closing? It depends, you can get your earnest money back at closing as long as your 4% grant and any other credits (like seller paid closing costs) covered your required down payment and closing costs. Can I use a Mortgage Credit Certificate with this program? Yes you can, but to qualify for a Mortgage Credit Certificate (MCC) you have to be a first-time homebuyer or buy a home in a targeted area. A first-time homebuyer is defined as someone who has not owned a home in the past three years. With an MCC you will receive an annual federal income tax credit up to 20% of the annual interest you pay on your mortgage loan. Call me for more details and to see if you qualify. 303-521-7169. The MCC funds are not always available throughout the year. The City of Denver has established a revolving pool of $30 million to support this program. As the funds are revolving, the program will remain in place for the foreseeable future, as long as there is demand. Take advantage of this now! The City and County of Denver have provided an incredible opportunity. The time is now! 4 percent grant given to you for down payment and closing costs and you never have to pay it back. Remember how fast the last year went by? 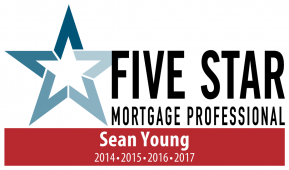 The first step is to contact Sean Young and start the pre-approval process today or click this link to apply online today.